Greg Schiemer was a member of the avant-garde improvisation ensemble AZ Music in Sydney in the early 70’s. He has written for small ensemble and solo instruments but his later music has involved live electronics, often in the form of home-made instruments. He has created a number of works for dance and other mediums, some using radio and computer technology. Greg’s work involves the design of new instruments and the development of algorithms for interaction with live performers. Andrew Schultz has composed for a diversity of media including chamber, orchestral and vocal works. His compositions have been performed and broadcast in Australia, USA and Europe by groups such as The Song Company, Queensland Symphony, and the Seymour Group. Awards include the Australian National Composer’s Opera Award, three Australia Council Fellowships and the Albert Maggs Award. His prize winning opera Black River has won the National Critics Award and has been released as a feature film. Larry Sitsky is composer, pianist and musicologist. One of Australia’s most commissioned composers, his works have been performed and recorded nationally and internationally. His works embrace many forms including the opera The Golem premiered by the Australian Opera. Larry’s numerous awards include the inaugural Australia Council Composer Fellowship. Gerhard Stäbler was born 1949 in Wilhelmsdorf. He studied composition with Nicolaus A. Huber, and organ with Gerd Zacher at the Nordwestdeutsche Musikakademie Detmold and at the Folkwang-Hochschule Essen. Fellowships include those from the Heinrich-Strobel Foundation (Sudwestfunk Baden-Baden), Djerassi-Artist-in-Residence (California, 1986,87,89) German State Niedersachsen (1987-88), and a residency with the Japan Foundation Fellowship in 1994. Gerhard Stäbler has performed and lectured throughout Europe, USA and the Far East and has received various international commissions and awards for opera, orchestra, chamber and solo compositions. He directed World Music Days 1995 (Essen) and has organised international festivals such as AKTIVE MUSIC. Caroline Szeto began her musical training on the piano. She completed her postgraduate studies in composition at the University of Sydney under Eric Gross and Peter Sculthorpe. A recipient of a Composer Fellowship from the Australia Council she has fulfilled commissions for many prominent soloists, ensembles and orchestras, and her music for piano, guitar, tuba and violin published. The Tasmanian, Adelaide, Sydney, Melbourne and Queensland Symphony orchestras have performed her works and Energy and ABC Fanfare were performed in the Czech republic at The Second Festival of New Music for Orchestra. Many of Szeto’s later works consist of Chinese elements such as poems from the Tang dynasty, Chinese harmony and structures which are used in her chamber work Images of Li Po and rhythmic patterns adopted in her ensemble work The Third Station of the Cross. Lesleigh Thompson was born 1966 in Rhodesia and moved to Australia at the age of ten. She is the recipient of the 1990 New Audience Award, and the 1993 Albert H. Maggs Award. She was selected to attend the 1993 Buffalo Music Festival at the State University of New York, Buffalo, and the 1994 National Orchestral Composers’ School. Currently pursuing a PhD in composition with a research component looking at Australian Symphonic Film Composition, she lectures in music theory at the Faculty of Music, Melbourne University. Joerg Todzy was born in Germany, and he has lived in Australia since 1988. After studying composition in Germany, Italy and Australia, he completed a Master’s degree in 1992. His interests are in solo and chamber works, using computer-generated and traditional materials as departure points for composition. Julian Yu has won numerous awards for composition and his works have been widely performed since he settled in Australia in 1985. His awards include the Koussevitzky Tanglewood Composition Prize, the Vienna Modern Masters Award, the Irino Prize, three International New Music Composers’ Competitions and the Spivakovsky Composition Prize. His music has also been featured in two ICSM World Music Days. Richard Vella is a composer, music theatre director and publisher based in Sydney. He has composed music for a wide range of contexts and styles, including music for film, CDROM, opera, dance, vocal, chamber and orchestral genres. Much of his music has been commissioned and performed by leading performers and ensembles around the country. Between 1992 and 1996, he directed and implemented an interdisciplinary music program with the Science Faculty at Macquarie University, Sydney. Formerly Professor of Music at La Trobe University, Melbourne, and consulting professor to many music institutions and conservatoria. Richard is founding artistic director of Calculated Risks Opera Productions and Director of music publishing with the performing arts publisher, Currency Press. Lindsay Vickery is a Perth-based composer who has written music for concert, dance and theatre. He founded a l e a with keyboard player Cathie Travers and percussionist Paul Tanner and more recently writes and plays for electronic music group Magnetic Pig with Travers, Tanner and cellist Iain Grandage. 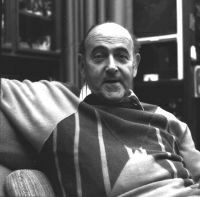 He received a Sounds Australian Award for his work encouraging young composers and was awarded a Churchill Fellowship in 1994. He works freelance as a composer and part-time at the University of WA and the WA Academy of performing Arts as a tutor and lecturer in Electronic and 20th Century Music. Recent projects include a chamber opera, Rendez-vous based on the novel Djinn by Alain Robbe-Grillet, commissioned by the Pocket Opera Company, a song cycle based on the infamous ‘Ern Malley affair’ for Perth baritone Andrew Foote. Current works such as the Alternative Controller Project (with Chris Murdoch), Garden of Delight (Chrissie Parrott and Chris Murdoch) and Blurring the Boundaries (Karen Melzack and John Angliss) centre around the use of Opcode’s MAX software. After music studies in piano, Allan worked as both performer and teacher. Initially self-taught in composition he began more formal studies with Keith Humble, and since that time his works have been widely performed by some of Australia’s leading chamber ensembles. He is a lecturer in composition and music theory. Mal Webb is an eclectic composer, songwriter and performer based in Melbourne. He has written for the bands the Oxo Cubans and Sock. A Melbourne University BA Ed. graduate, Mal plays trombone, guitar, bass, percussion and sings. He has toured Colombia, Singapore and most of Australia as a performer. His keen interest in rhythmic complexity stems from his sudies in and performace of African, South American and popular dance music. Felix Werder was born in Berlin in 1922. He is a composer, music critic, broadcaster and lecturer. After initial music training in Germany, and completion of secondary school in England, he moved to Australia in 1941. Following periods of interment and military service he worked in Melbourne as a music teacher later joining the music staff at The Age - where he was appointed principal music critic on the death of Le Gallienne in 1963. His awards include The Stamitz Prize from the German Musicians Guild 1989 and The Sir Zelman Cowen Medallion for services to adult education. He has composed 7 symphonies, 12 string quartets, 8 operas, 7 concertos and numerous chamber works. David Young was born 1969 in Brisbane. David's music has been performed frequently in the contexts of concert, theatre and installation. A graduate of Melbourne University he is also involved in curating performance events with artists of various disiplines, such as paper, sculpture and fashion. His work Jasmine, for solo guitar, has been released in Japan by Norio Sato, and has been performed several times in that country with Norio Sato and the Shinsei-Nihon Symphony Orchestra.